Yesterday I saw this perched on a plant, either the datura or the day lilies in the sunny side garden. There’s no pond nearby, but everything else I found about this dragonfly matches up with what I saw. 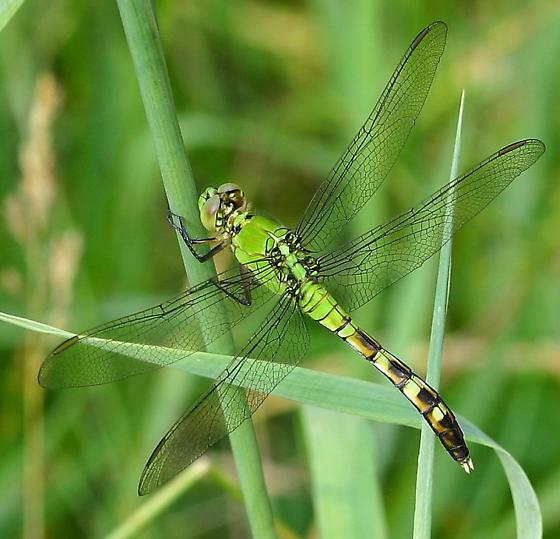 Based on some Googling, I’d call this a female eastern pondhawk. Gorgeous! 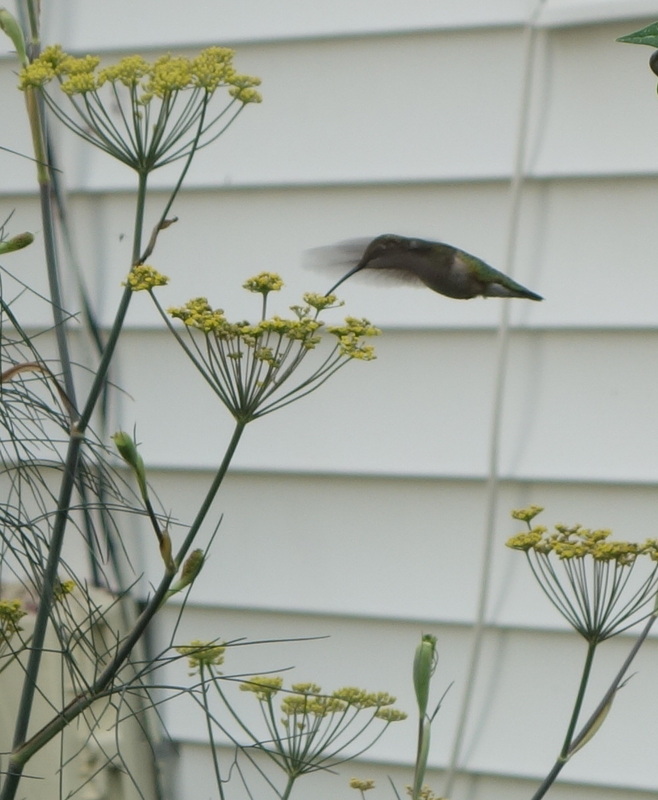 Other flying creatures include a hummingbird, which apparently avoids its own special feeder but loves the little red zinnias that have self-sowed in the vegetable bed, and also likes the bronze fennel although its flower is yellow. 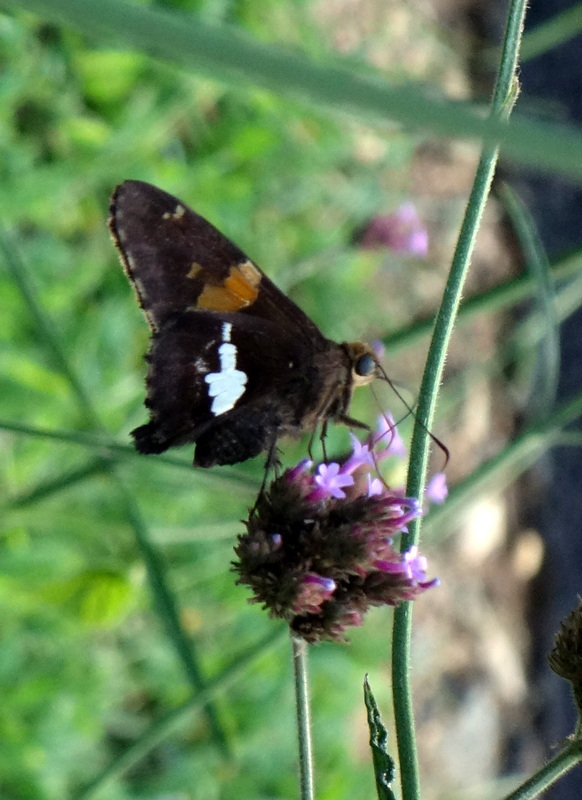 The butterfly hunt has resulted in yet another Silver-spotted Skipper. I had hoped it was something more exotic, but it’s still pretty and kindly stayed in one place so I could take its picture. 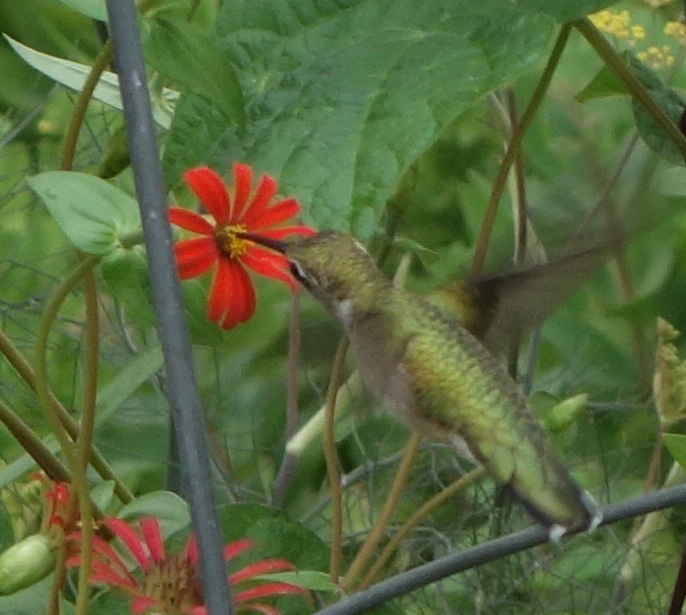 Like everyone else, it seems to love the verbena bonariensis, which has self-sowed everywhere.